One of the ways your air conditioning cools the interior of your home is by pulling condensation out of the indoor air. In some areas of the country where humidity is high, gallons of water are extracted from the indoor air and discharged to the outside of your house or into a sink drain through what is called an AC drain line (a.k.a. condensate drain line). 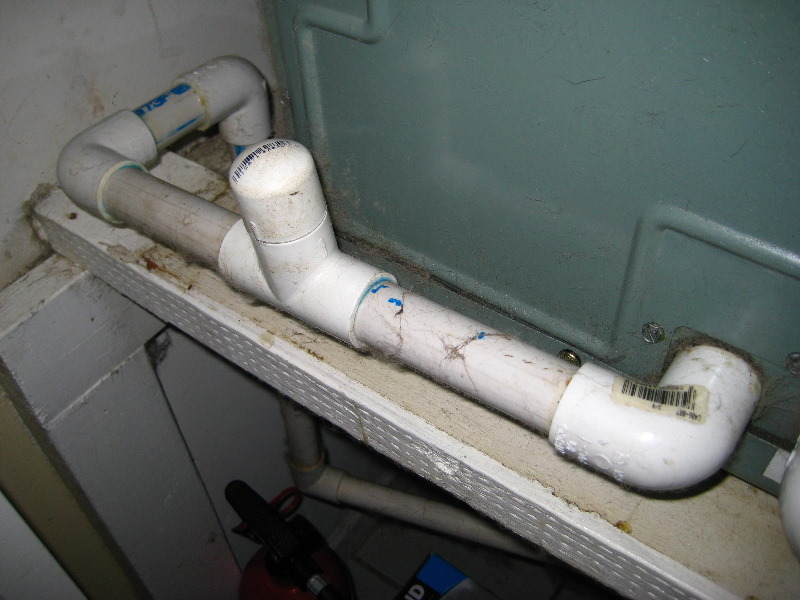 This plastic pipe starts at your coils, which is located at the furnace, and terminates either at the outside of your house (usually near the AC compressor), or into a sewer drain line under a bathroom sink. Over the course of a long summer of AC use, gunk such as algae and mold can build up in this line. If too much gunk builds up, water can back up at the coils in the furnace. To prevent this from happening, it is recommended that this line be cleaned regularly. To clean out the AC drain line, first identify the location where it terminates. If it terminates at the outside of the house, place a bowl under the line so any grass or plantings don’t get damaged. Next, locate the access tee (usually a vertical piece of PCV pipe) which are generally located at the furnace. If there is an access tee, simply pour a cup of bleach or distilled white vinegar into the line. If you are unable to locate an access tee at the furnace you may want to consider having an HVAC professional install one.